Word-of-mouth and peer recommendations are the most effective format of marketing. Therefore tens of universities and schools are engaging their students and other stakeholders in creating content – user-generated content creates social proof to attract future students and improves reach and engament in social media. Showcasing real-life examples of coursework shows the problems current students are solving during their studies, and how the study programme prepares them for their future careers. However, for teenagers and young adults selecting the university isn’t all about picking the subject of study – to many of us, higher education means flying the nest and getting familiar with a new hometown. There’s a lot to learn outside the lecture halls. 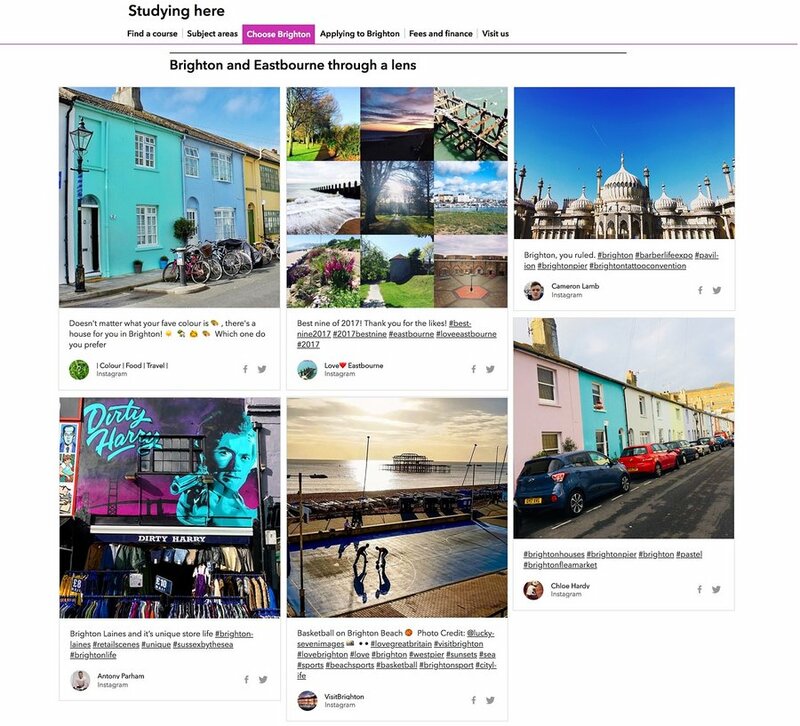 That’s precisely why the University of Brighton is curating Instagram images showing the best sides of the city of Brighton and Eastbourne area. Tourism and travel organisations are publishing beautiful content on a daily basis, and the marketing team is picking the best ones to be displayed on Choose Brighton page welcoming new and attracting prospective students.